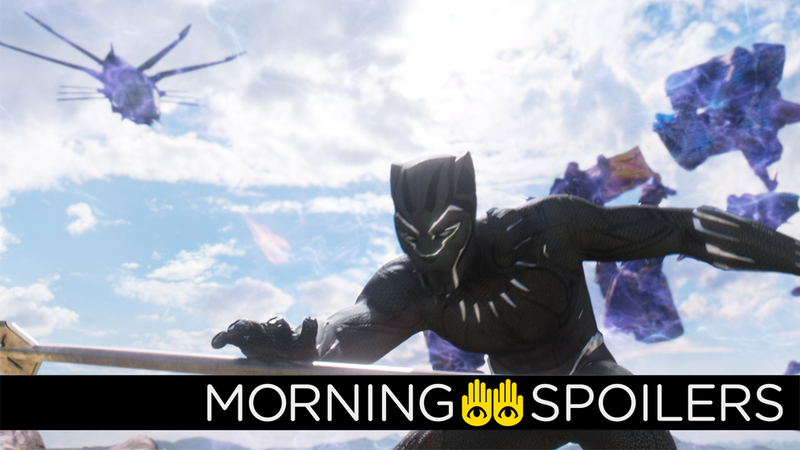 T’Challa leaps into action in Black Panther. Sony’s Bloodshot movie adds a few more interesting names. The Six Million Dollar Man movie reboot has been pushed back. Get to know the new superheroes of Incredibles 2. More Flash and Supergirl casting rumors hint at more comics characters coming into the CW TV fold. Plus, what’s to come on Handmaids Tale and Legion. Spoilers now! Deadline reports Utkarsh Ambudkar (Brockmire) and Ron Yuan (Marco Polo) have joined the cast of Mulan. Ambudkar will play a con artist named Skath, while Yuan has been cast as Sergeant Qiang, second in command of the Imperial Regiment. Paramount has quietly removed Transformers 7 from its release schedule. Omega Underground reports the story concerns Tessa Thompson’s character, Agent Em, joining MIB’s London branch, where she’s paired with Chris Hemsworth’s recently disgraced Agent H. Together, the duo travel the world solving a murder mystery. Director Chris Dougherty teased the arrival of King Ghidorah on Twitter. Pooh can’t bring his balloon on the tube in a new international poster from Coming Soon. Sophia Bush introduces the new Supers of Incredibles 2. Marvel’s Andy Park revealed the cover of the film’s tie-in art book on Twitter, giving us another look at Hannah John-Kamen’s mysterious villain, Ghost. When Colleen’s son moves back home — with a troubled teenager, Kayla, in tow — she will be forced to grow up and protect her family against a sinister threat. The outlet speculates “Desmond Paull” is a cover name for David Hersch, the cult-leader known as Cicada. In related CW casting news That Hashtag Show also has word Supergirl is looking to cast a British actor in his 20's or 30's to play Chester Green, a man with a “dark background” known to “bring a sword to a gunfight and end up victorious.” The outlet notes the character sounds suspiciously like Manchester Black, the British antihero from Action Comics #775. Speaking with Vanity Fair, Emilia Clarke revealed she’s already filmed her final scenes as Daenerys Targaryen, first of her name, and so on and so forth. It fucked me up. Knowing that is going to be a lasting flavor in someone’s mouth of what Daenerys is . . .
“These are the Names” – The lives of the refugees hang in the balance as Jude and Nestor team up with an unlikely ally. Meanwhile, Eve and Lindauer move forward with their ruthless effort to tie up loose ends, on the season finale of “The Crossing,” airing SATURDAY, JUNE 9 (9:00-10:00 p.m. EDT), on The ABC Television Network, streaming and on demand. “The Crossing” stars Steve Zahn as Jude Ellis, Natalie Martinez as Reece, Georgina Haig as Dr. Sophie Forbin, Tommy Bastow as Marshall, Rob Campbell as Paul, Rick Gomez as Nestor Rosario, Marcuis W. Harris as Caleb, Grant Harvey as Roy Aronson, Jay Karnes as Craig Lindauer, Simone Kessell as Rebecca, Kelley Missal as Hannah, Luc Roderique as Bryce Foster and Bailey Skodje as Leah. David’s inner demons take control in the trailer for Chapter 17. Finally, Screen Rant has an exclusive clip from YouTube Red’s upcoming animated series about space truckers starring John Cena and Kat Dennings.